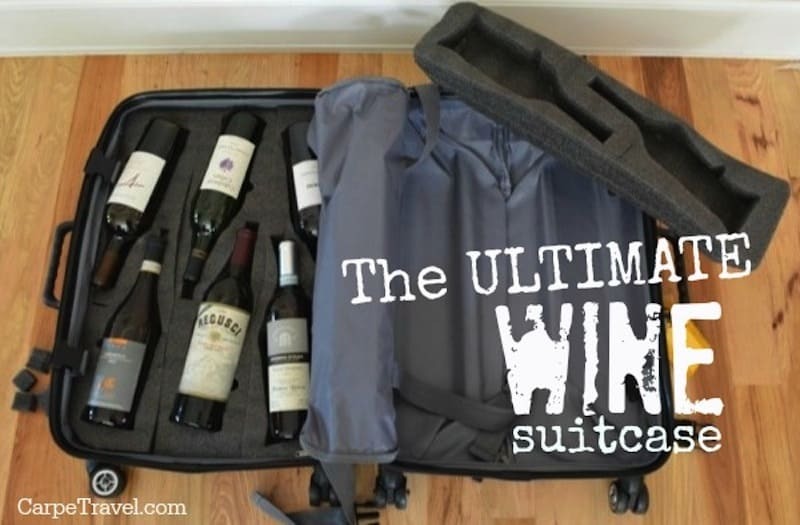 Multi-purpose items for travelers are like peanut butter is to jelly. Things so common they’re often overlooked and just “assumed”. A black skirt that can be worn casually during the day but dressed up for evening-wear; a suitcase doubling into a wine carrier; a purse that turns into a scarf; the list goes on. We forget – or haven’t realized – that everyday items we travel with can also be used as self-defense tools. Yep, a suitcase, toothbrush, Band-Aids and even that little black skirt can be turned into a weapon or so I recently learned after receiving a copy of a new book, A Guide to Improvised Weaponry: How to Protect Yourself with Whatever You’ve Got. If you’ve seen the show Dude You’re Screwed then you’re likely familiar with its star, Terry Schappert, a Green Beret and Master Sergeant in the U.S. Army Special Forces. It’s one of our favorite shows so I was excited to be asked to review the book he co-author with Adam Slutsky, which goes into 200 everyday items people can use for self-defense. As someone who travels a lot, (is a little paranoid) and loves to have a few tricks up her sleeve, this book is soooo up my ally. When I moved to Colorado one of the things I purchased before my first hike was The Ultimate Survival Guide. My husband (then boyfriend) made fun of me when I read it cover to cover – twice. But guess who knew what to do when his car got stuck in the snow. Me. Who was the one who knew what to do if we ran into that mountain lion after seeing fresh tracks on our hike in Rocky Mountain National Park? Me. I wasn’t even a Girl Scout, just a girl who read a book. I fully admit and own the fact that I’m a little parodied. I happily accept it. I also own that fact that I’m making my two daughters take Taw-Kon-Do. I did when I was a kid. Being prepared and having the knowledge to protect yourself in the moment has gotten me out of more than a few situations. This book is one of those tools. To give you a little sample of what this handy DIY self-defense book has to offer I’ve included the top five things I always travel with, and yes the bobby pin I wear in my hair nearly everyday tops the list. 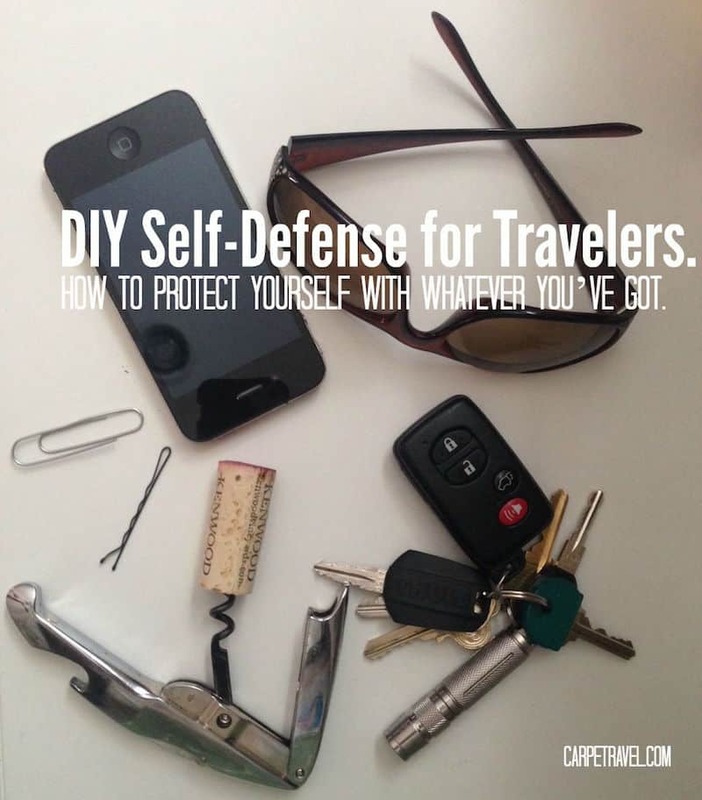 DIY Self-Defense for Travelers. How to Protect Yourself with Whatever You’ve Got. Clench the bobby pin in the fist of your dominant hand and use your thumb to apply additional downward force. Don’t allow more than half of the barrette to protrude; you don’t want to risk losing it or breaking it upon contact. A straightforward jabbing motion is the most effective option; use short, fast strikes – boxers call them rabbit punches – and aim for the eyes, throat, side of the neck just below the ear, or the soft spot just behind the earlobe. A slashing maneuver can also be attempted is you miss you jab strike and have left your arm extended. Simply whip you arm from side to side as if you were swimming a tennis racket. If using one of the small travel corkscrews (a waiter’s corkscrew), hold it in your fist with the base (the part you hold and twist) pressed tight against your palm. Allow the corkscrew (the curly, metal part) to extend beyond your clenched fist between your fingers, as close to the center of you fist as possible for maximum impact and control. Once you have the corkscrew in a firm grip, thrust at your attacker. Aim for the eye, neck, liver, groin or the thigh. Four eyes are always better than two, especially when it comes to protecting yourself. In the book Schappert explains multiple ways you can use glasses as a self-defense tool. Each requires you to break your glasses…albeit your attacker would have no problem helping you with that. He suggests you break off both arms of your glasses and use them like daggers, holding one in each hand for dual or simultaneous attacks. You can also pop the lenses out and use the frame like a dagger. When it comes to using a flashlight for self-defense, bigger and heavier lights are always better but more likely you’re traveling with a smaller, go-anywhere sized pocket light. Schappert goes into several ways to use a flashlight for self-defense. The easiest way to use a flashlight for self-defense is to shine the light directly in the attacker’s eye’s. Flashlights with different modes allow you to up the power – aka brightness – of the flashlight. Shining 960 lumens directly in someone’s eye’s will blind them temporarily and give you a chance to get away. Smaller, metal, pocket lights that also offer high brightness levels (lumens) can pack a punch. Use these pocket lights as “fist fillers” to make your punch’s even more powerful. Simply close your hand around the flashlight, make a fist and you have a more powerful punch. If you are carrying a larger, metal flashlight use it to hit your attacker. Only would a Green Barets would know how versatile a scarf and necktie could be as a self-defense tool. The most obvious way to use either – after they’re removed – from around your neck – is as a garrote to choke your attacker. But you can also wrap them around your fist to protect you hand when punching them. Or, knot one end to the tie and use it as a flail. Tying something with heft to the tie or wrapping it around something with weight will allow you to generate more speed, and therefore cause more damage. If you have a tiepin, tie-tack or broach, reposition it to the end you plan on using as you flail. Exposing the point or sharp end will increase damage. That’s only five of the 200 everyday items people can use for self-defense the book goes into. If you’re looking for a few additional tactics to protect yourself when traveling, seriously check out A Guide To Improvised Weaponry: How to Protect Yourself with WHATEVER You’ve Go. I love your post, it is really nice and informative. I would like to read some more tips and suggestions from your side. This post is really “moral boosting”. Thanks! Glad to hear you liked it. after reading this, I always have a flashlight along with me everywhere I go. I even bought one for my girlfriend. Great tips! Thanks! Flashlights come in super handy. I always have a little keychain light with me. Great post! I didn’t know that i could use bobby pin to defend my self. Thanks for the tips! I know! This book goes into so many things you would never think that could be used as a weapon. Wow! Great post! I really need this as I move from different cities for work. It’s really nice to see DIY Self-defense since you’re gonna have to deal with this in real survival life. Straight to the point, very direct. I really appreciate it, thank you so much. You are so creative. What a neat project! I love how it turned out! I LOVE this idea! I think you did a great job ?? Thanks a lot for amazing sharing. This is really amazing and helpful article. Your idea is very beautiful. I like your idea. You did a great work!! Thank you for share a such helpful article. Those are some good tips. Breaking your glasses and using the arms as daggers is definitely one of the more creative ones. Same with using a necktie to protect your hand while punching. Thanks for sharing wonderful information it really help us. I will share it to my friends..